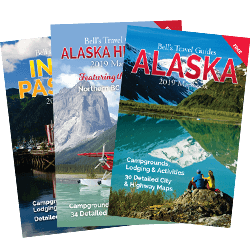 View our Free Travel Guides online by clicking on the covers below. 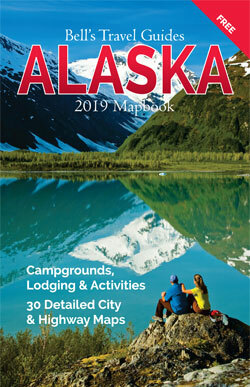 Each guide is filled with in-depth maps of Alaska’s cities, towns and Highways. 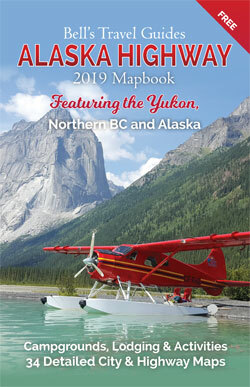 Discover, our recommendations on hotels, campgrounds and activities all the way from Northern British Columbia to The Yukon and all around Alaska. Welcome to Bell’s Travel Guides. 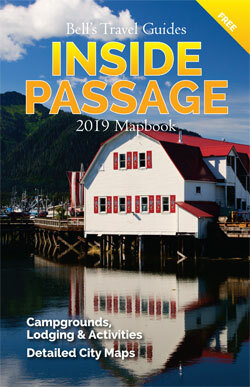 The perfect place to begin planning your Alaska vacation. Using our site you will discover detailed descriptions of every town and city in Alaska, The Yukon and Northern British Columbia. We have listings of the best campgrounds, hotels and lodges as well as maps and mile-by-mile highway descriptions. Search by Destination, Highways or use our custom search tool to find exciting shopping and activities in every region in Alaska.